Presented here are selected recordings from albums released between 1974 and 2015 and are arranged in two parts. Discs 1 & 2 are pure flamenco, while Discs 3 & 4 have compositions in other genres – including collaborations with the Royal Philharmonic Orchestra and other musicians. 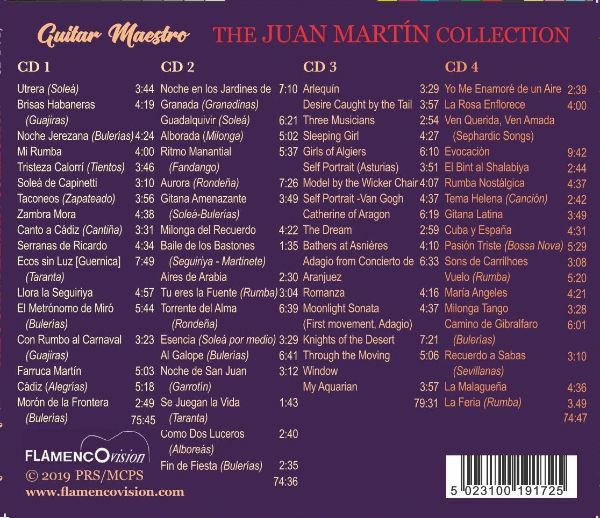 Selected by Juan Martín himself, the recordings are listed mainly chronologically in each pair of CDs. The booklet identifies all of the albums that the tracks on this compilation are taken from together with informative notes about each piece. Juan Martín was voted two years running into the top three flamenco guitarists in the world in the American magazine ‘Guitar Player’. Pyrotechnics can be produced by quite a few players, but instinctive musicianship is a rare quality “No flash, just loads of panache.” The Melbourne Age. His compositional ability in presenting the traditional forms of this mercurial art has led music critics to compare him to Turina, Tárrega and Albéniz. His guitar sound, whilst lively in the typical timbre also has a richness, clarity and depth of tone which reflects his having projected his instrument unamplified in many of the world’s great halls. One speaks of the Wigmore, Carnegie, Albert, Barbican, Frankfurt’s Alte Oper, Istanbul’s Cemal Resit Rey, Amsterdam’s Concertgebouw, Australia’s Melba Hall, Sydney’s Conservatoire, San Francisco’s Herbst and many, many others. 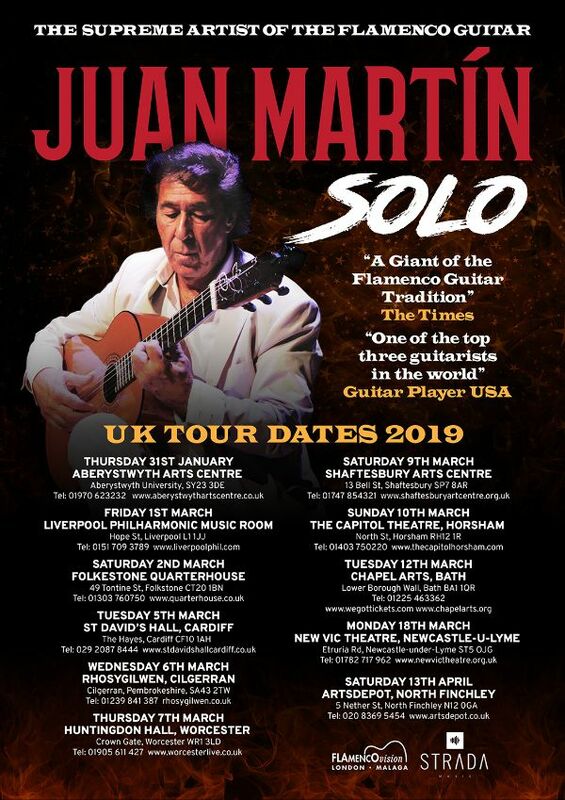 His festival appearances include Edinburgh, Bath, Montreux, Adelaide, London Guitar Festival, Seville, Málaga, his city of origin, Hong Kong, Singapore, Jakarta, Shanghai, Beijing and Vancouver. He has recorded 20 albums and was the first and only flamenco guitarist to make a record with the RPO. At Sir Roland Penrose invitation, he performed at Pablo Picasso’s 90th birthday celebration when very young which resulted in ‘Picasso Portraits’, an album released in 22 countries simultaneously by Polydor. Apart from presenting flamenco artists of the stature of Eva la Yerbabuena and Rafael Romero ‘El Gallina’ at the Barbican and Wigmore hall respectively, he has appeared at the Montreux Jazz Festival with Miles Davis and Herbie Hancock and made a superb CD with jazz trumpeter and film composer Mark Isham. His early influences were Niño Ricardo and later Paco de Lucia in Madrid. The ‘notes per second’ brigade however don’t interest him musically and he is more likely to draw inspiration from Debussy, Ravel and Falla. 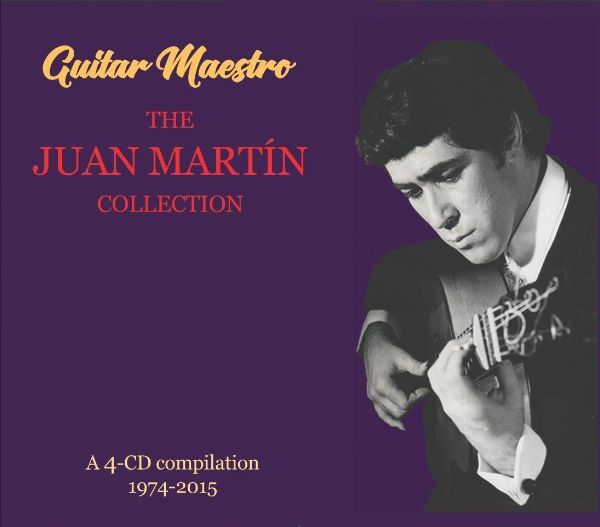 In this sense Juan Martín is a guitarist composer of contemporary music whilst respecting the great tradition. This has led to him twice performing as soloist with the Nash Ensemble at the Wigmore Hall. His guitar method “el Arte Flamenco de la Guitarra” is regarded as the ‘Bible of flamenco’ worldwide and within his lifetime is at least as well-known as Fernando Sor’s book – no wonder The Times referred to him as “Doctor Flamenco” and José Manuel Gamboa the most eminent Spanish flamenco writer and critic, wrote “he has an impeccable technique and is an authentic ambassador of flamenco music throughout the whole world”. This new CD will be fully serviced to UK press and media. Advertising will include BBC Music Magazine. Interview requests can be accommodated quickly, either in person or by telephone. Born in Helsinki, Finland – between east and west – Einojuhani Rautavaara (1928-2016) was the son of Eino Rautavaara, an opera singer and cantor at the local Kallio church. His mother Elsa ran a local medical practice. Rautavaara lost both his parents before adulthood and fondly reminisced about all the times he spent in the organ loft, waiting for his father to ﬁnish work. Like most Finns, while Einojuhani Rautavaara was a Lutheran Protestant, but he was neither particularly devout nor religious. His credo was a primarily musical one, and while it was deeply rooted in the Western Catholic and Lutheran canons, as the years passed, he developed a strong aﬃnity with the spirituality and mystical nature of the Eastern Orthodox church. Rautavaara began work on an unaccompanied mass, the Missa a cappella, in March 2009. Rautavaara ﬁrst considered composing a Catholic Mass in the early 1970s while working on the single-movement Credo (1972) for choir. A full ordinary mass seemed a natural outcome, as Rautavaara had already composed an Orthodox Vigil in 1971. Missa a cappella was ﬁrst performed on November 25th 2011 at Jacobikerk, Utrecht, by the Netherlands Radio Choir under Celso Antunes. Our Joyful’st Feast came into being only a few years earlier when the Helsinki Chamber Choir and Nils Schweckendiek commissioned a choral work to be performed at the European Broadcasting Union Christmas concert. Rautavaara decided to set texts by two English Renaissance poets: two extracts from Shakespeare and a section from an extensive Christmas poem by George Wither, a contemporary of the Bard. As the composer puts it, these texts “have a robust Renaissance joyfulness which I feel suits a European Christmas, even ﬁve hundred years later”. This is reﬂected in the music, as Our Joyful’st Feast keeps uplifting our spirits with its sonorous ascending sequences, eventually covering the full vocal range of the mixed choir. Word play, the compositional potential inherent in the diﬀerent meanings of words, sounds made possible by their respective vowels and consonants, their rhythm, context and content, are all aﬀorded fresh examination in Ommel by the Finnish composer Lotta Wennäkoski (b. 1970). Born in Helsinki, Wennäkoski studied composition at the Sibelius Academy and the Hague Royal Conservatory. At an early point in her studies she also a spent a year in Budapest, Hungary, studying violin, music theory, and Hungarian folk music. Wennäkoski has garnered a respected position in Finnish musical life and has been a full-time composer for many years. Having twice been nominated for the Nordic Council Music Prize, her music has also been performed at the Märzmusik Berlin, Warsaw Autumn and Huddersﬁeld festivals. Recent success includes a commission by the Scottish Chamber Orchestra (‘Verdigris’, premiered 2015), a new orchestral work, ‘Flounce’, for the BBC’s 2017 Last Night of the Proms, and the CD release ‘Soie’, featuring a collection of Wennäkoski’s orchestral works performed by the Finnish Radio Symphony Orchestra. Lotta Wennäkoski is known for her often playful and lyrical compositions, and Ommel is no exception. Commissioned by the Helsinki Chamber Choir, the work is based on a simple premise: the same tanka poem by Abe no Iratsume, the 8th-century Japanese poet, is set in ﬁve diﬀerent languages. It is interesting that, though the work’s title is in Finnish, Wennäkoski did not select her own language as one of the translations in Ommel. The short work Valossa does ﬁnally oﬀer a taste of Finnish. The title means ‘In the light’, and the text is based on several fragments taken from the Bible. From these fragments Wennäkoski has patched together a semi-narrative whole, circling towards its conclusion on words from Ephesians 5:14: “for anything that becomes visible is light”. 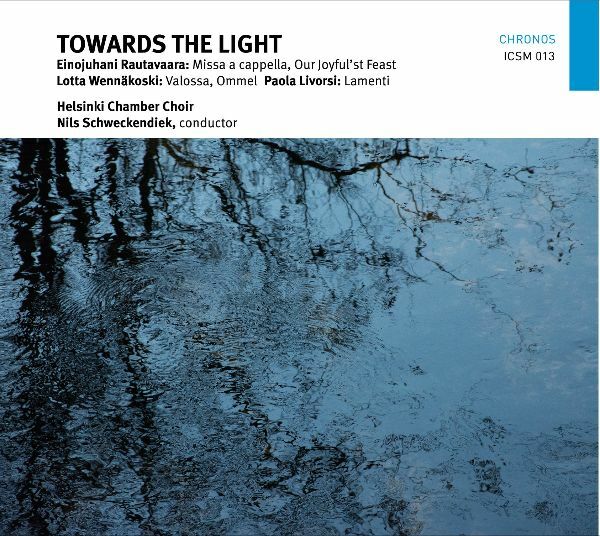 Both works, Ommel and Valossa were premiered by the Helsinki Chamber Choir and Nils Schweckendiek on April 5th 2014. 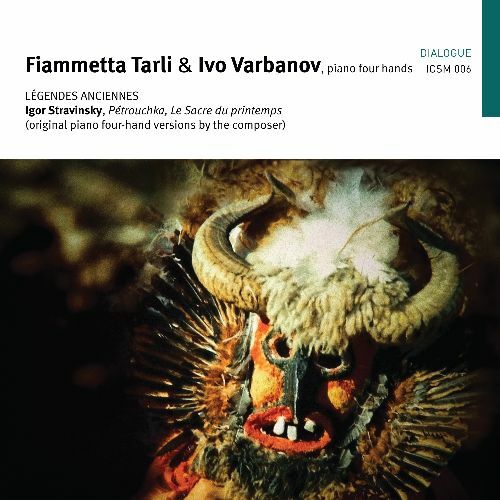 An entirely diﬀerent mood resonates throughout Lamenti by the Italian composer Paola Livorsi (b. 1967). The title refers to the lamenting, ever-falling musical lines of the ‘lamento’, which in the madrigals and arias of the Renaissance and Baroque expresses an often-uncontrolled mourning over the passing of a loved one. After studying music history and composition in Turin, Paola Livorsi ﬁrst came to Helsinki in 1997 in order to study composition and electronic music with Kaija Saariaho and Jean-Baptiste Barrière. After continuing her studies with Saariaho in Paris 1999–2001, where she attended classes in electro-acoustic music at CCMIX and IRCAM, Livorsi eventually settled in Finland. She has recently been working on multidisciplinary collaborations and on a doctoral project exploring the timbral aspects of human and instrumental voice. Lamenti was commissioned by the Helsinki Chamber Choir and was ﬁrst performed in 2012 under James Wood. The Helsinki Chamber Choir (Helsingin kamarikuoro) was founded in 1962 as the Finnish Radio Chamber Choir and assumed its current name in 2005. Currently Finland’s only professional chamber choir, its wide-ranging repertoire includes music from the Renaissance to the present day and it is particularly highly regarded for its work with new music. The choir appears frequently at festivals in Finland and abroad and collaborates with symphony orchestras, period instrument ensembles and contemporary music groups. Its concerts are regularly broadcast on national radio and television, and it has also appeared in productions for the ARTE channel and the European Broadcasting Union. Recent touring has taken the Helsinki Chamber Choir to the United States, Belgium, Russia and around Scandinavia. Nils Schweckendiek studied music at Clare College, Cambridge, and orchestral and choral conducting in Freiburg and Helsinki. Since making his highly successful debut at the Finnish National Opera with Richard Strauss’ Der Rosenkavalier in 2006, he has performed with orchestras, ensembles and choirs in many European countries, the United States and China, and appeared at numerous opera houses and festivals, including the Leipzig Opera and Savonlinna Opera Festival. Nils Schweckendiek is committed to performing the music of our time and has conducted around ninety ﬁrst performances, including music theatre, orchestral, choral and ensemble works. He has made several well-received CD recordings, amongst them one of choral and ensemble music by Beat Furrer which was awarded a Preis der deutschen Schallplattenkritik in the last quarter of 2016, and another featuring orchestral and choral music by Matthew Whittall which was selected by the Finnish Broadcasting Company as its Record of the Year for 2017. Since 2007 Nils Schweckendiek has been Artistic Director of the Helsinki Chamber Choir. In 2014 he was appointed Professor of Choral Conducting at the Sibelius Academy of the University of the Arts Helsinki, and from 2017 he has been Artistic Director of the Helsinki Music Centre Chorus. He is Founder and Artistic Director of the International Einojuhani Rautavaara Composition Competition. This new CD will be fully serviced to UK press and media. Advertising will include appropriate classical magazines both in print and online. Founded in 2014 and based in London, Independent Creative Sound and Music (ICSM) Records – is run by musicians for musicians – and is committed to uncompromising quality in every aspect of the recording, creating artistic statements beyond time and fashion. ICSM believe that artists should have full control over all aspects of the production, and at the same time fully respects artistic integrity and intellectual property rights. The label aims to give artists creative freedom and flexibility in the choice of repertoire they record.The ethos of the label is to release recordings of the highest quality, free of compression and as close as possible to the real live performance. 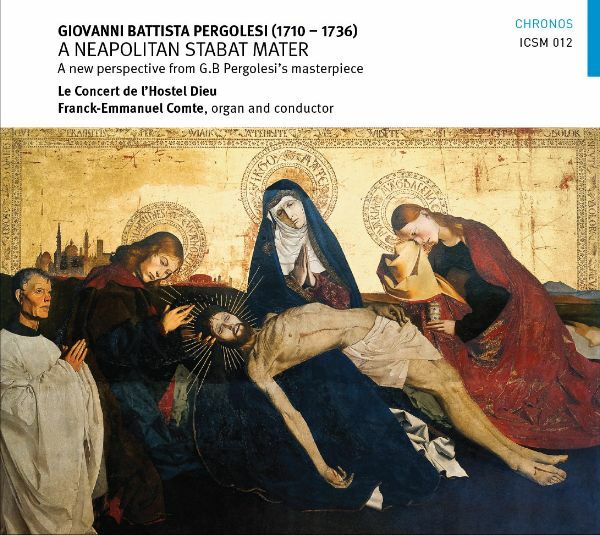 Since the middle of the 18th century, Pergolesi’s Stabat Mater has been an absolute triumph all over Europe. Its initial success in Lyon can be accredited to the booming musical societies, in particular, the « Académie du Concert ». This academy was one of the most formidable of its kind, performing a wide range of sacred and profane Italian and French music. In the library of this outstanding institution, now kept in Lyon’s library, Franck-Emmanuel Comte found a very unusual manuscript of the Stabat Mater. This manuscript is presented in an unexpected arrangement. Apart from a few minor modifications in the instrumental parts, the second solo voice part is entrusted to a baritone (without a doubt because of the disappearance of the castrati), while the fugues and verse ‘O quam tristis’ are arranged for five voices. Thus, the Latin poem takes on a whole new dimension, gaining theatricality and dramatic emphasis. In order to accompany this dramatisation of the Stabat Mater as well as nourish its intention, Le Concert de l’Hostel Dieu have integrated various traditional Neapolitan polyphonies (Stabat Mater, Miserere…), songs (Donna Isabella, La Carpinese) and two tarantellas. This juxtaposition of scholarly music and popular art, of the sacred and the profane, conveys the Neapolitan soul. Today, this authentic spirit continues to flourish, especially during Holy week, through incredible and bewitching ceremonies. Musically, these are characterized by an astonishing convergence of religious songs sung by the celebrants, polyphonies improvised by the confreres in procession carrying the cross, ‘flonflons’ (loud party music) of the local band interpreting extracts from the Stabat Mater or from a Verdi opera, and simultaneously outdoors, tarantellas are sung, danced and hammered. This musical amalgamation resonates continuously on the forecourts of the churches whose doors have remained ajar… From all this, a collective emotion emerges, one that is mystical and festive, painful and joyous, surprising and troublesome. The premise of this unique interpretation integrating sacred elements, that define the Neapolitan Holy Week, with authentic secular traditions, arose from countless musical experiences in Naples, Sessa, Aurunca as well as the nearby villages. This approach to the Stabat Mater is therefore both musicological, with the unpublished manuscript from Lyon, and socio-historical, by integrating the cultural and traditional Neapolitan background. Above all, it is a purely personal and subjective approach, born from a fusion of personal taste for Italian sacred music and the emotion felt during a timeless Italian voyage. Since its inception, the Concert de l’Hostel Dieu has been a major player in the French Baroque scene. The set is distinguished by a sensitive and dynamic approach to interpretation of the vocal repertoire of the 18th century. Under the direction of Franck-Emmanuel Comte, passionate artist and committed educator, he defends the originality and specificity of a regional repertoire by highlighting baroque manuscripts preserved in the libraries of the Auvergne-Rhône-Alpes region. The ensemble thus realizes various renditions and editions of unpublished scores, rich of the privileged links, which Lyon maintained with Italy. Promoting a historical and philological approach to Baroque and Classical repertoire, including the Mozartian catalog, The Concert of the Hostel Dieu systematically offers an interpretation on period instruments. One of the strengths of the Concert de l’Hostel Dieu is its ability to transpose the richness and diversity of baroque music to our time. Nourished by stimulating artistic collaborations, the ensemble is a hotbed of creativity that brings together the different baroque aesthetics with various cultures and artists with diverse backgrounds. Its creations reinvent the concert format and aim at reaching new audiences of different ages and to perform in outlying areas, where access to cultural events is often limited. As well as creating and performing, Le Concert de l’Hostel Dieu also supports young soloists at the beginning of their careers, noticed at international singing competitions or academies. Ever since finishing his studies at the Conservatoire National Supérieur de Musique in Lyon, Franck-Emmanuel Comte has held key positions and been a guest at opera houses (including Nantes, Lyon and Paris Opera Studio) and also with orchestras (such as the Orchestre des Pays de Savoie, the Ensemble Orchestral Contemporain, the Auckland University Orchestra, the Collegium Musicum Riga) As artistic director of the concert de l’Hostel Dieu since its creation, he has conducted the ensemble in more than 1,500 concerts and 20 recordings. A regular guest in European and world capitals (such as Barcelona, London, Riga, Kraków, Rome, Brussels, Madrid, Calcutta, Chennai, Peking, Taiyuan) and several international festivals (including Montserrat, Brežice, Girona, Foligno, Wallonia, Nuits de Fourvière, Ambronay, Chaise-Dieu, Peralada, Händel Festpiel de Halle). Franck Emmanuel Comte is passionate about baroque repertoire and for transversal or atypical artistic projects. He is artistic director of the Musicales en Auxois festival in Burgundy and of the Centre musical international J.-S. Bach de Saint Donat. “A Neapolitan Stabat Mater” received its UK premiere at St John’s, Smith Square on 20th November 2018. Future London concerts from CHD include 8th April 2019 London Handel Festival (Handel vs Porpora programme) and 11th July 2019 at Wigmore Hall (Orlando Programme). Interview requests with Franck-Emmanuel Comte can be accommodated quickly, either in person or by telephone. Founded in 2014 and based in London, Independent Creative Sound and Music (ICSM) Records – is run by musicians for musicians – and is committed to uncompromising quality in every aspect of the recording, creating artistic statements beyond time and fashion. ICSM believe that artists should have full control over all aspects of the production, and at the same time fully respects artistic integrity and intellectual property rights. The label aims to give artists creative freedom and flexibility in the choice of repertoire they record. The ethos of the label is to release recordings of the highest quality, free of compression and as close as possible to the real live performance. Situated on the intersection between two major medieval trade routes, Leipzig became one of the most important cultural cities in Europe, famous for its music and publishing houses. Many great composers flourished writing for its churches, publishers and musical amateurs, and this piano recital illustrates what a rich diversity of music was born here. Leipzig’s most famous resident, J. S. Bach, settled here in 1723 having accepted the job that Telemann turned down, the Kantor at St. Thomas’ where his duties were to compose music for the four churches of Leipzig and rehearse and train the choirboys. The Chromatic Fantasy and Fugue probably dates from 1726 and is exceptionally daring and surprising in its use of chromaticism. Felix Mendelssohn was an all-round musician – pianist, conductor, composer, educationalist, philanthropist and even an impressive watercolourist. An extremely active member of the community and a family man, he not only founded and organised funding for a new conservatoire in Leipzig but was also responsible for spearheading the movement that rediscovered the works of Bach, the composer whose music he made it his personal mission to revive. His musical achievements left an enduring mark on the city, as had those of Bach before him. He directed the Gewandhaus Orchestra, toured as a brilliant concert pianist and was of course a child prodigy composer. Edvard Grieg’s formal musical education was at the Conservatoire in Leipzig where he studied with Niels Gade whom he greatly admired. It was Gade who encouraged him to write his ﬁrst symphony and who enthused about his ﬁrst steps in chamber music. Niels Gade was an internationally renowned composer, violinist, educator and administrator in his day, although today he is barely recognised. He started composing in his teens and wrote many chamber works and piano pieces, including his ﬁrst Symphony which he sent to Mendelssohn, who was at the time the conductor of the Leipzig Gewandhaus Orchestra. Mendelssohn was so impressed that in 1843 he invited Gade to come to Leipzig to be his assistant conductor and to teach at his newly founded conservatoire. After Mendelssohn’s death in 1847, Gade had become well established and took over as the principal conductor of the Gewandhaus orchestra. Although Johannes Brahms spent much of his professional life in Vienna, he was introduced to the musical scene in Leipzig by a friend of Robert Schumann and began to give piano recitals in the city. Schumann helped promote the young Brahms by writing him a glowing reference in the press, and so he succeeded in getting his ﬁrst piano compositions published there. 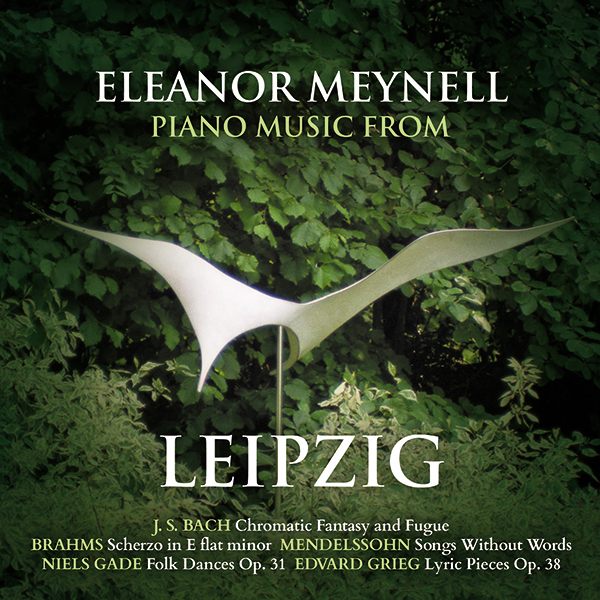 Eleanor Meynell recorded these pieces using a Feurich piano which dates from 1909 (Nr. 201426) from Leipzig. Researches indicate that it must have come over from Germany shortly after the Second World War as it was bought by Joy Bennett, Eleanor’s late mother-in-law in 1954. Perhaps the piano arrived in Hampstead as the instrument of an exiled Jewish family? We can only guess. What we do know is that it was refurbished in 1954/55 when it was bought and then again in 2013 by Hilary Martin. Julius Feurich started his piano manufacturing company in 1851 in Leipzig. He came from a family of harpsichord and specialist piano makers building up a huge business empire supplying grand and upright pianos all over Europe and to Chile and Brazil. By the 1940’s their position in the market took a downturn, grand pianos simply becoming too expensive to make during and after the war. Eleanor Meynell won a scholarship to Chetham’s School of Music at the age of 11 where she studied with Heather Slade Lipkin and Ryzsard Bakst. During her time there she was a prize-winner in several national and international competitions and won Bromsgrove Young Musician of the Year aged 15. She also was awarded both ARCM and LGSM diplomas while still at school. Eleanor has broadcast as a soloist and chamber musician on BBC Radio 3, Classic fM and Radio Belfast, and is currently on the staﬀ at Trinity Laban College of Music and Goldsmiths College where she accompanies and coaches. As well as singing in the Monteverdi Choir, she also plays for auditions and masterclasses for John Eliot Gardiner and is a mentor on the apprenticeship scheme. She made her Wigmore Hall debut in 2015 playing with several members of the Monteverdi Choir in music by Schubert and Brahms which received critical acclaim in The Times. She has recently performed Beethoven 4th and Grieg Piano concertos, and future plans include performances with her piano quartet as well as Saint-Saëns’ Carnival of the Animals with the London Mozart Players. She plays for many young aspiring singers and instrumentalists and recently formed the St Bart’s Piano Quartet with players from the LSO with whom she has begun to build a chamber music series where she lives in Sydenham. Details of Eleanor’s concerts can be found on her website. Eleanor will be performing the CD programme on Saturday 7th February at St John The Evangelist, 1 Sylvan Rd, Upper Norwood, London SE19 2RX – further performances of this “Leipzig Programme” are planned but not fully confirmed at the time of writing. 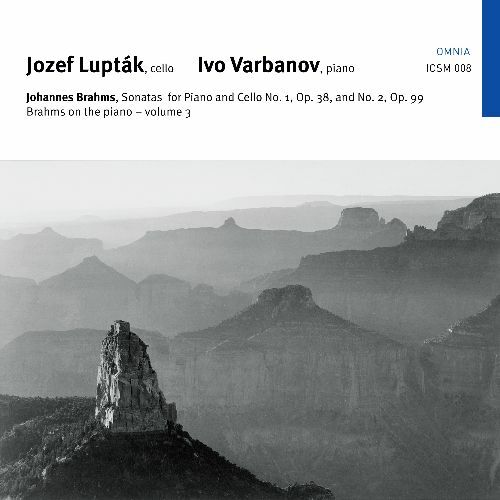 “Piano Music from Leipzig” will receive a full service to relevant press/media. Advertising is yet to be finalised. For review copies and any further information, please contact John Cronin at Music & Media/MMC Recordings (via john@musicandmediaconsulting.com), which is a division of Music and Media Consulting Limited. I have just started working with ICSM Records and am sure that you may well have missed some of their previous releases, so I provide an overview below. I do not have physical review copies available, but am happy to provide access to the .wav files and artwork by providing you with a DropBox link. Just respond accordingly listing the ones you would like. 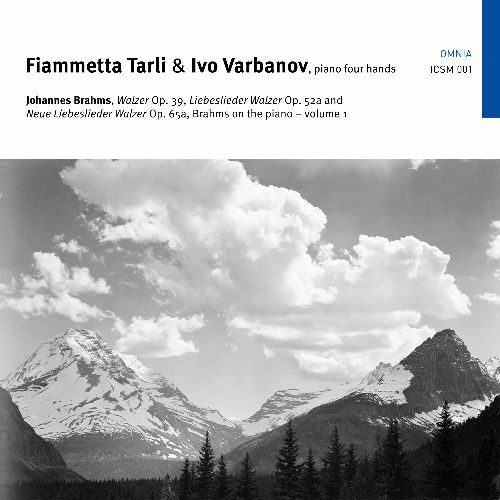 The first release from ICSM features the complete recordings of Brahms four handed waltzes. Dance music was in his blood and two particular dance styles fascinated him throughout his lifetime – the waltz and the Hungarian Czárdás. Brahms’s two sets of ‘Love Song Waltzes’ used to be among his best-known works. These pieces remind us of a time before radio or television, when domestic music-making was a normal occurrence, a time when families would gather round the piano to play and sing for their evening entertainment. 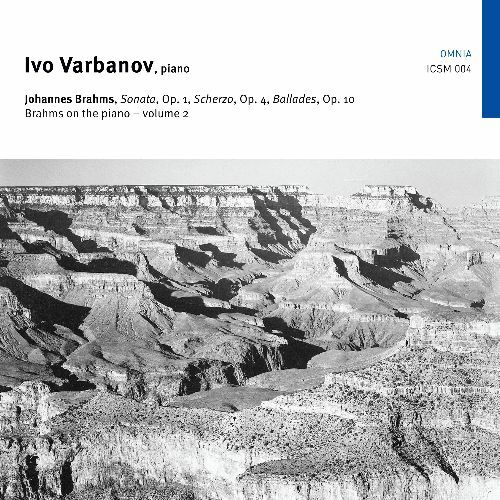 This disc features the last piano works by Beethoven Schumann and Brahms. Beethoven’s Bagatelles, written three years before his death, were considered by the composer to be the best things of their kind that he had done, a true cycle of miniatures. Schumann’s ‘Morning Songs’ were written just a few months before his attempt to drown himself in the Rhine, which led to him being confined in an asylum until his death a little over two years later. As for Brahms’s Chorale Preludes, written after the death of Clara Schumann, the versions here are rarely performed transcriptions by Busoni, who re-imagined them in the style of Brahms’s late piano pieces. 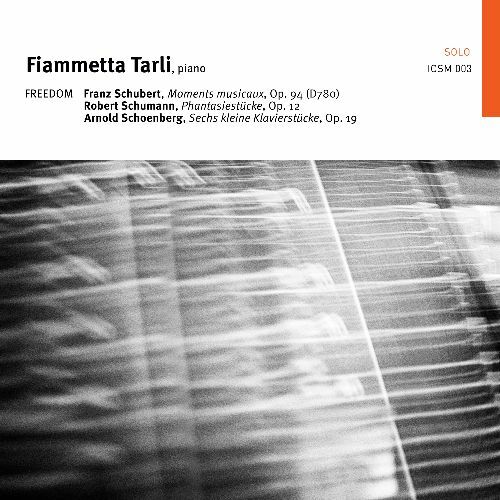 The recording’s title “Freedom” explains an exploration of what composers produced when they did not start with a codified musical form but rather with a poetic idea. In this thought-provoking programme, both Schubert and Schumann demonstrate powers of evocation and characterisation at their height, whist in Schoenberg’s piece we experience a haunting reminiscence of Gustav Mahler’s funeral bells. Presented here are early piano works by Johannes Brahms. All three were performed at crucial moments in Brahms’s life. The Piano Sonata was first performed in front of Robert Schumann at their first meeting. The Scherzo was one of the first pieces he showed to Franz Liszt and to Schumann in 1853. Lastly the Ballades emerged at a time shortly after Schumann’s attempted suicide and subsequent confinement to a sanatorium – Brahms having become protector and comforter of Schumann’s wife, Clara, and her children, while at the same time dealing with the fact that he had fallen in love with her. The Ballades, his first Group of short lyric pieces, are a taste of what was to come in his later years. This concert was a special night at the South Bank. 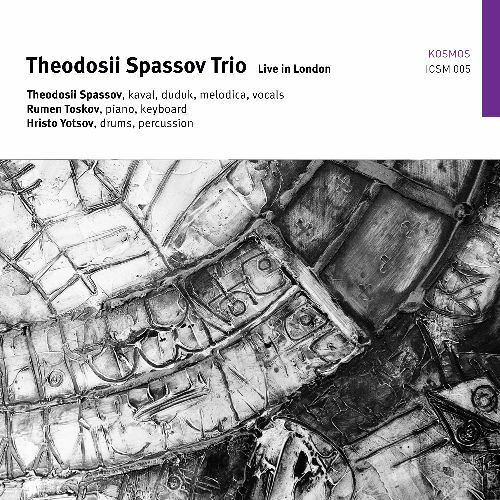 The recordings are all live takes – and are dedicated to the memory of Rumen Toskov who died in 2010 from a Lymphoma. All three musicians (individually and collectively) are renowned internationally as leading exponents of the Bulgarian jazz scene from the 90’s onwards. The piano was fundamental to Stravinsky as a composer – not least when he was writing orchestra scores. 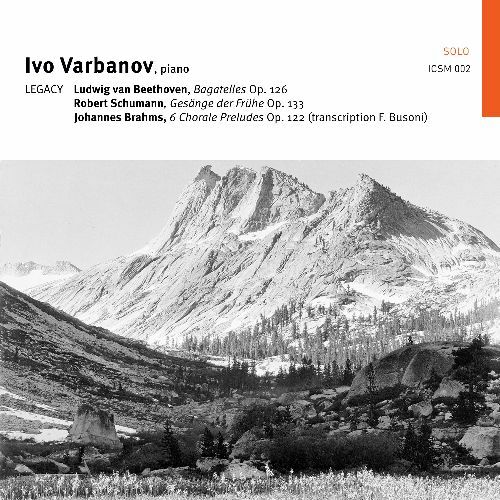 Both of the featured pieces on this recording are outstanding orchestral works in their own right, and these four hand versions by Stravinsky translate back into piano music with conspicuous success. 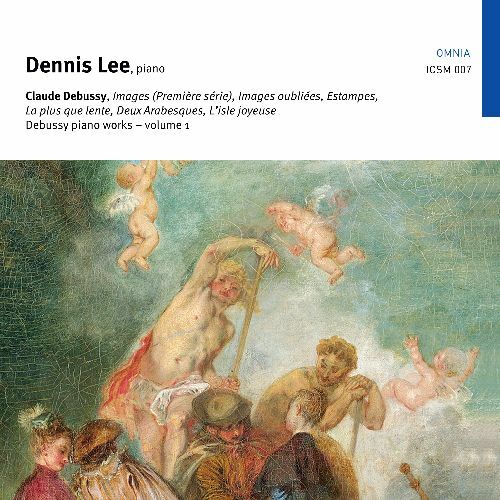 Despite the enduring popularity of certain orchestral a, vocal and chamber works by Claude Debussy, it is his piano music for which he is most widely renowned. Along with Chopin and Liszt, he took the piano music genre in a new direction with his ground-breaking approach to texture, chords, shifting harmonies and the use of the pedal, among other features. Brahms often consolidated his mastery of freshly explored domains by writing two examples in a specific genre in quick succession – for example Piano Quartets No. 1 & No. 2 (Op. 25 & 26); String Quartets (OP. 561 No 1 & No. 2); Clarinet Trio Op. 114 and Clarinet Quintet Op. 115; Six Piano Pieces Op. 118 and Four Piano Pieces Op. 119; and in orchestral music, the Academic Festival Overture, Op. 80 and Tragic Overture Op. 81. A notable exception to this trend is provided by the two sonatas for cello and piano – separated by some 21 years and reflect the composer’s changing circumstances – the first the product of a young man in the early stages of his career and the second is the work of an older man writing at the peak of his powers with remarkable vigor and intensity. Over the last thirty years jazz, ethno-jazz and fusion have flourished in Bulgaria with some unique musical exponents. This recording the natural flow of the music and the extraordinary empathy between Hristo Yotsov and the Donchov brothers, Anthony and George. 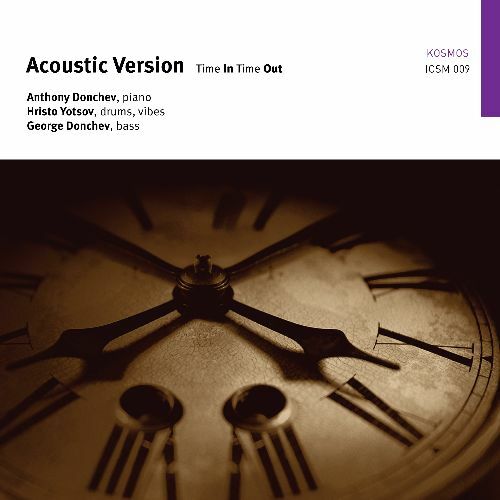 Acoustic Version has always been about the musical synergy and chemistry between the players. Their classical training and cultural background stand them in excellent stead. There are elements of Bulgarian folklore and European classical chamber music making combined with experimental contemporary jazz giving an unforgettable musical experience. George Gershwin is without doubt one of the most influential composers ever to come out of the American musical scene. He had an uncanny knack of combining popular song with classical compositional technique. In addition to Broadway musicals and comedies he wrote an opera (Porgy & Bess), a piano concerto, a tone poem (An American in Paris) and two rhapsodies for piano and orchestra. He died at the age of 38 after undergoing an operation for a malignant brain tumour. This was a huge loss to 20th century music – who knows what he would have achieved had he lived longer – but his body of work ensures a place in the list of all-time great composers. 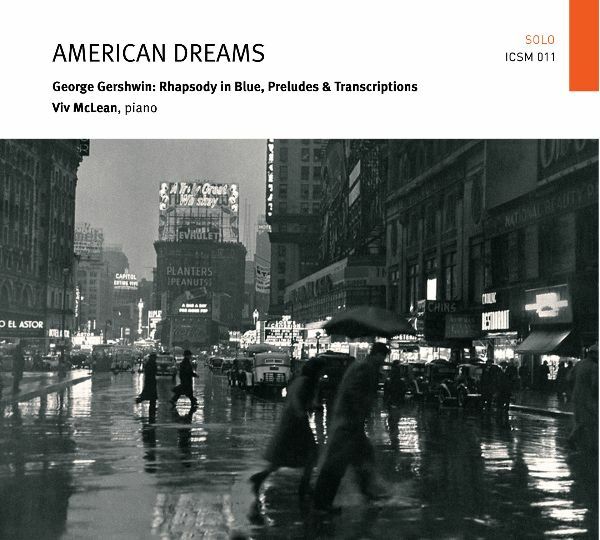 This recording of pieces for solo piano – subtitled ‘American Dreams’ – features Rhapsody in Blue, Three Preludes, and transcriptions of several classic songs and pieces – many of which are now classed as jazz standards. Many of the arrangements are by Gershwin himself – together with those by Percy Grainger, Maurice Whitney and Henry Levine. Three bonus tracks are also included from the Gershwin Songbook (arranged for piano and orchestra by Hershy Kay) and feature the Royal Philharmonic Orchestra conducted by Simon Lee. Viv McLean has performed at all the major venues in the UK as well as throughout Europe, Japan, Australia and the USA. He is one of the most active pianists in the UK today with almost 100 concerts in 2018. His concerto work includes appearances with the RPO, Philharmonia Orchestra, LPO, Hallé Orchestra, ECO. BBC Concert Orchestra, Sinfonia Viva, Orchestra of the Swan, London Concert Orchestra, Scottish Concert Orchestra, Northern Chamber Orchestra and the National Symphony Orchestra. Viv studied at Chetham’s School of Music and then at the Royal Academy of Music. While still a student he was the piano winner of The Royal Overseas League Music Competition, which led to his Wigmore Hall debut in 2005. He has recorded frequently for BBC R3 (through the BBC Young Artists Forum scheme) and has also recorded for Classic fM and numerous other broadcasters and record labels. 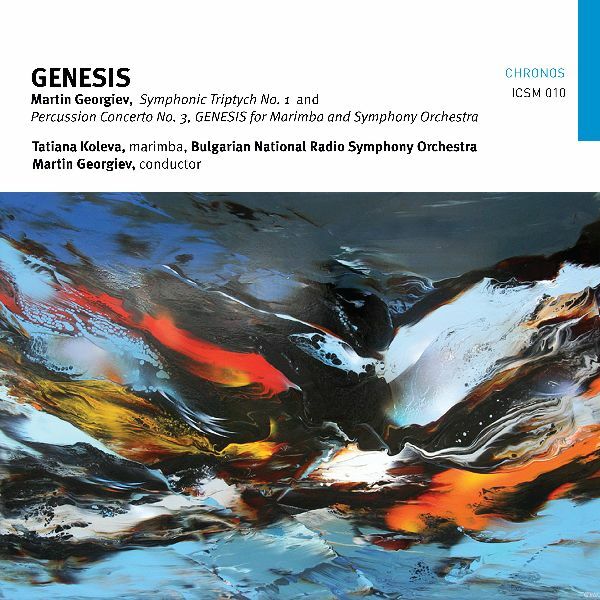 Young Bulgarian-British composer Martin Georgiev provides his music with programmatic titles. Raised in the Orthodox faith in the Black Sea port of Varna, he often incorporates spiritual ideas in the concept and realisation of his works. Symphonic Triptych No. 1 was written over a nine-year period from 2016 and is effectively a symphony in three movements. The first section draws upon the trials and tribulations of St Sophia (Patron Saint of the Bulgarian Capital) and her three daughters – Faith, Hope & Love. The second movement – entitled Heavenly Reflections – was written shortly after the death of György Ligetti and is dedicated to his memory. The third movement draws upon the crucifixion of Christ as the Saviour of souls. The Percussion Concerto “Genesis” for Marimba and Orchestra was written in 2011 and as the title indicates, takes the creation story as the theme. The first movement explores “And darkness was upon the face of the deep. And the spirit of God moved upon the face of the waters”. The second movement exposes the listener to “And God said, Let there be light”, culminating in the final movement “And the light shineth in the darkness and the darkness comprehended it not”. All in all, a truly dramatic sonic experience. Georgiev’s percussion instrument of choice is the marimba (his first concerto was also for marimba with vibraphone). Martin Georgiev is internationally awarded composer, conductor, percussionist and producer. His collaborations as composer and conductor feature leading orchestras and ensembles such as the Brussels Philharmonic, BBC Symphony Orchestra, London Mozart Players, Bulgarian National Radio Symphony Orchestra, Heidelberg Philharmonic Orchestra, Sofia National Philharmonic Orchestra, amongst many. Since 2013 he has held the post of Assistant Conductor with the Royal Ballet at ROH Covent Garden, London, where he was involved with the world premieres of many new ballets by top choreographers and composers In 2010-11 he was SAM Embedded Composer with the BBC Symphony Orchestra, London. He was educated at the Royal Academy of Music, London, UK; and the National Academy of Music ‘Pancho Vladigerov’, Sofia, Bulgaria; has a PhD (doctorate) in Composition from the University of London and Masters’ degrees in both composition and conducting. Born in 1983 in the historic city of Varna, Bulgaria, he has been based in London since 2005, being both Bulgarian and British national. His compositions have been commissioned by The City of Heidelberg and the Heidelberg Philharmonic Orchestra; The City of Varna; The Royal Academy of Music for the Mayor of London; Sound and Music for the BBC Symphony Orchestra; Varna Summer International Music Festival for the Sofia National Philharmonic Orchestra; and many more. His works have been performed across the United Kingdom, Bulgaria, USA, France, Germany, Belgium, The Netherlands, Japan, Mexico, Canada, Greece, Poland, Israel and Italy. His Chamber Opera The Mirror with original libretto by Marike van Aerde was premiered in London in June 2009 by the Azalea conducted by Jessica Cottis, under the patronage of Lady Solti, Sir Charles Mackerras and Andrew Ritchie CBE. Martin Georgiev is a recipient of numerous awards for composition and performance as a percussionist. Born in Bulgaria, Tatiana Koleva lives and works at present in the Netherlands. Internationally renowned as virtuoso solo and ensemble performer, she is actively involved in the promotion of contemporary music and art forms all over the world. She has established herself as a leading percussionist specializing in marimba. Her performances leave the audience spellbound with intriguing rhythms and surprising musical developments. In addition to her intensive concert activities Mrs. Koleva is becoming a very respected educator. She leads regularly master classes for marimba/percussion and chamber music as well as composer workshops. Currently she holds a teaching position at the Prince Claus Conservatory of Groningen – The Netherlands. Tatiana Koleva has commissioned a number of compositions specially written for her and her projects. Ms. Koleva has appeared as a soloist of various orchestras and regularly performs with leading ensembles and theatre groups. Next to her activities as a classical musician she is often involved in cross-genre projects with improvised jazz, rock, film and theatre music. The Bulgarian National Radio Symphony Orchestra is a Bulgarian orchestra based in Sofia, Bulgaria, affiliated with Bulgarian National Radio. It gives concerts in the Bulgaria Concert Hall. Founded in 1948, the orchestra’s first chief conductor was Vassil Stefanov, who remained affiliated with the orchestra from 1948 to 1988. The orchestra offers a full annual schedule of events, tours internationally and maintains a large discography of recordings. Axel Borup-Jørgensen was by any deﬁnition, a singular ﬁgure in Danish music. Despite several major successes, he remained somewhat of a beloved outsider, embracing the modernist ideal throughout his career. Yet, there is an organic lyricism in his music which has been identiﬁed as uniquely “Scandinavian” in nature. The guitar provided Borup-Jørgensen with an ideal medium for musical expression offering both an intimacy and an ephemerality that complimented his increasingly inward- looking aesthetic. The current program, meticulously played by Frederik Munk Larsen, winner of several international guitar competitions, provides an overview of the composer’s guitar music, from his ﬁrst major composition, the dramatic and gestural Praeambula, Op. 72, (1974-1976) to the late, aphoristic cycle “ﬂoating islands”, Op. 169, (2002), unique in the instrument’s literature for being composed entirely in harmonics. Borup-Jørgensen worked closely with musicians at every phase – from pre-compositional strategies to performance – among them, guitarist Frederik Munk Larsen, whose extraordinary virtuosity and attention to the most fragile nuance, draw out the deep melancholy and organic beauty of this fearsomely difﬁcult music. There is little doubt that this new recording will become an extraordinarily important document of 20th Century Guitar music. This album is Recorded in the DXD audio format (Digital eXtreme Deﬁnition), 352.8 kHz/32bit by Grammy nominated producer Preben Iwan, in the Church of the Royal Castle in Fredensborg, Denmark. Frederik Munk Larsen was born in 1974 and studied with Erling Møldrup, Roberto Aussel and Alex Garrobé in Denmark, Germany and Spain. He is Associate Professor and head of the classical guitar program at the Royal Academy of Music in Aarhus, Denmark. Guitarist Frederik Munk Larsen is pursuing a path of uncompromising artistic curiosity and quality. Determined in searching for the limits of expression he is devoted to exploring musical gestures and textures in the extreme. This approach has led to collaborations with leading European composers and to reviews like “Munk Larsen proves in these works his ﬂuency and enthusiasm, such that rigour and spontaneity crackle through every bar” (The Gramophone, UK), “Frederik Munk Larsen drew a stunning array of percussive sounds from the guitar…” (The New York Times, US) or “from a masterful Lagrima to the ﬁnal de Falla with all the depth and subtlety demanded by the work” – (Diario de Sevilla). 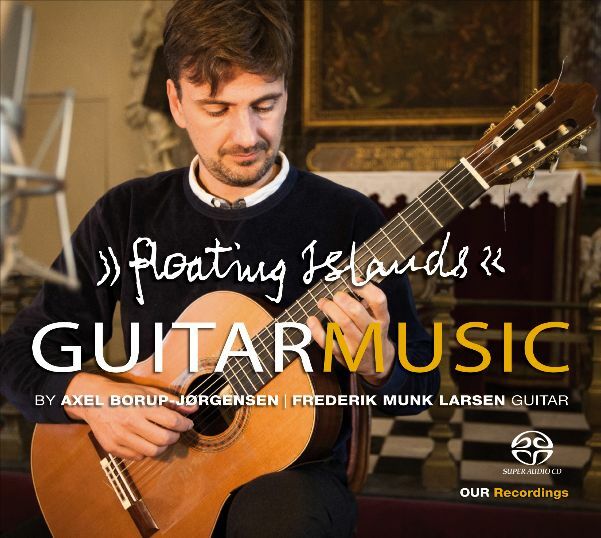 Frederik Munk Larsen has premiered more than 150 new works for guitar, and composers such as Simon Steen-Andersen, Bent Sørensen, Rei Munakata, Svend Nielsen, Niels Rønsholdt and others have all written solo works for him. A multi-award winner both as a soloist and chamber musician, Larsen has been awarded prizes from “DAAD” (German Academic Exchange Service), the “Irgens Berg’s Artists Prize”, the 1st Prize in Yamaha of Europe’s music competition, as well as being a prize-winner in the National Danish Radio’s “Chamber music Competition”. He appears on 15 CD’s both as soloist and with various ensembles. Concert tours have taken him to festivals in North and South America, Europe, the Nordic Countries and China, both as soloist with orchestra, in solo recitals and with ensembles like Scenatet (DK), Curious Chamber Players (SWE), Århus Sinfonietta and Duo Hellqvist/Munk (SWE/DK). In recent seasons he has appeared as a soloist with Copenhagen Philharmonic, Aarhus Symphony Orchestra and the Aalborg Symphony and others in concertos by Rodrigo and Simon Steen-Andersen. This new recording will be fully serviced to all UK press and Media. Review copies can be requested from john@musicandmediaconsulting.com – interviews with Frederik Munk Larsen can be quickly arranged if required. 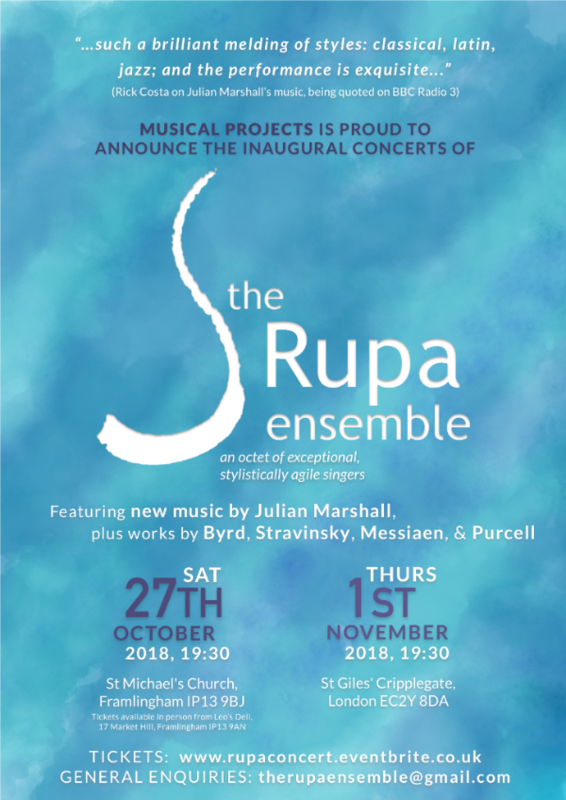 Announcing the launch of The Rupa Ensemble: an octet of outstanding, stylistically agile singers especially adept in singing the music of Julian Marshall and with a focus on presenting highly engaging performances of mixed musical programmes to the highest professional standards. The programme will include new work by Julian as well as by Stravinsky, Byrd, Messiaen and Purcell.The Rupa Ensemble aim to make their concerts as open inclusive as possible. Flexible ticket pricing (whenever possible), innovative audience reach, education and outreach are all central to their philosophy. Details available soon. Following education at Dartington Hall School and The Royal College of Music, Julian found international chart success with the bands Marshall Hain, The Flying Lizards and Eye to Eye. A new chapter as a mature composer of longer-form work (Out of the Darkness, The Angel in the Forest) began in 2009 and today composition takes a central position in his creative life. Julian has a wealth of experience as a songwriter, composer, teacher, lecturer, mentor/coach and musician. He is currently a Teaching Fellow at ICMP, London and he divides his time between teaching there, running a thriving creative coaching/mentoring practice and composing. He is published by Novello and Co.
Julian is married to glass artist Arabella Marshall, they have two adult children, Gabriel and Solomon, and they live in Suffolk, England. Esbe is a composer, producer, and singer from London. 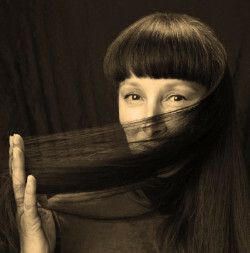 Her music is an eclectic blend of many influences, from her pure classical roots, but uniquely drawing on contemporary, world music and film scoring. After graduating from the Royal Academy of Music, where she gained an LRAM and won the prestigious ‘Julian Bream Prize for Guitar’, Esbe performed as a guitarist and singer in concerts around the UK. She particularly enjoyed singing Dowland and other early composers and this soon developed into composition and setting poetry to music. As the first collection of songs, which were only performed live, were heavily influenced by North African and Middle Eastern music, she engaged a line-up of musicians to reflect this. The group was named ‘Shai’, meaning ‘gift’ in Hebrew, reflecting her part Jewish/Arabic origins. An ongoing interest in ‘World Music’ then took her to India, and on her return Esbe wrote songs in homage to Qawaali singers – the great Nustrat Fateh Ali Khan being a particular favourite – which she performed with British Indian musicians. An association with several recording studios, brought a variety of work from string arrangements to session work as both vocalist and guitarist. And she has always taught classical guitar privately, coaching students to Grade Eight and Diploma level. Five years ago, she developed the rare and debilitating condition of Musicians’ Focal Dystonia. This affects just 3% of musicians, and there is no cure. Although there is a great sadness at losing the ability to play, the time she would have spent practising was used to pursue an art career alongside her studio recording. She exhibits with galleries and at art fairs around the UK, mainly working with glass, with a style influenced by Pop Art and Art Deco, and these can be seen in the elegant line drawings she created for the album art work. Esbe has composed and recorded a great variety of music, each project with its own inventive mix of styles, and she has just completed a similarly unusual set of songs for an animation film. Esbe’s musical influences are drawn from the classical world where she began her creative life, and arrangements and orchestrations display this. But, intriguingly, she is equally happy to encompass flavours from around the world. As well as writing her own lyrics, Esbe has set an eclectic choice of poems, from Gerard Manley Hopkins to the nonsense poet Mervyn Peake. This project is the second of four distinct new album projects that will be appearing over the coming months, bringing the work of this multifaceted composer, singer, musician, producer and artist to the outside world. “Desert Songs – Memories of Rumi” was released commercially in April 2018 as a digital only release (MMC120). Mystras in the Peloponnese is one of the most romantic places Esbe has ever visited, with its ancient churches and monasteries nestling on a lush, sleepy hillside. Once inside the monumental stone structures, your eyes become accustomed to the dark as the walls reveal their sumptuous frescoes and gilded icons. These are what’s left of the magnificent Byzantine Empire which reigned for 1500 years. This second album doesn’t tell a story, but it does reflect some, having a loose narrative. Invoking images of Medieval knights peering through the slits in their walled citadels, olives being picked in the fields below, and pigments newly mixed in little bowls waiting to bring to life some of those gorgeous paintings. Again, Esbe’s eclectic vocal weaves melodies drawing on scales from Eastern Europe and the Troubadours, set against a contemporary arrangement of sampled sounds, conventional orchestral arrangements and folk instrumentation. Inspired by her tour of the Peloponnese and stay in the romantic medieval city of Mystras, she conjures up stories based on both the known and imagined characters who would have lived there in times past. Sometimes she explores a phonetic language, ‘these ‘words’ just flowed as I wrote – there’s a liberation in just singing syllables.’, she says. But Esbe is also comfortable writing new text and lyrics, which she blends with a strong rhythmic sense and electronic grooves, all bound together by her forte of classical instrumentation. ‘Run With Me’ has already been picked up by the folk scene with radio play around the country and on the BBC, but several other tracks will surprise and enchant. Her multi-vocal-tracked, ‘Someone, Somewhere’, is a paean to love with simple words in Turkish, and harmonies reminiscent of the ‘Voix Bulgares’. ‘Dream of Constantine’ is an emotional, wordless vocal conjuring up the glorious scenery similar to the ‘Songs of the Auvergne’. And ‘Will You Still be Waiting for Me?’, which could easily be taken for a traditional English folk song arranged by Vaughan Williams, explores nuances of harmony and orchestration, before seamlessly morphing into a North African groove taking the listener to a distant Berber wedding. Esbe’s strong visual memory permeates all she produces, with tracks such as the cinematic title track, and ‘Arcanum’, bringing the distant past to life, as if on screen. The cover art is designed by Esbe. This serene face was partly inspired by the ancient art that also influenced two of her artistic heroes, Picasso and Modigliani. 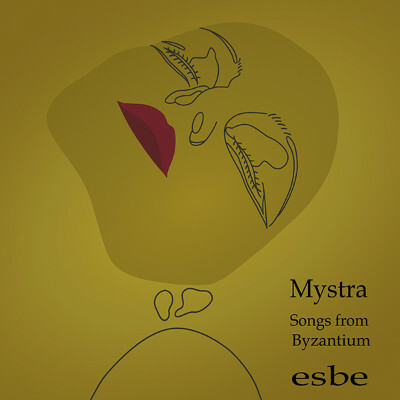 This second album was recorded and produced in Esbe’s studio in North London, separated in both time and distance from the historic city of Mystra, but each track draws the listener into a world of intrigue, and life, love, and death. This release will receive a full service to press and media. Advertising is in process of being confirmed. Though a digital only commercial release, some physical copies have been manufactured for promotional use only (.wav files can be supplied if preferred). For review copies, interview requests and any further information, please contact Music & Media/MMC Recordings (via john@musicandmediaconsulting.com), which is a division of Music and Media Consulting Limited.